CLEVELAND, OH (WOIO) - Cleveland 19 News is airing Super Bowl LIII with the New England Patriots taking on the Los Angeles Rams this Sunday, and a celebratory commercial. Despite the Browns not playing in the big game, Cleveland 19 is already feeling like a champion, especially our First Alert Storm Team. 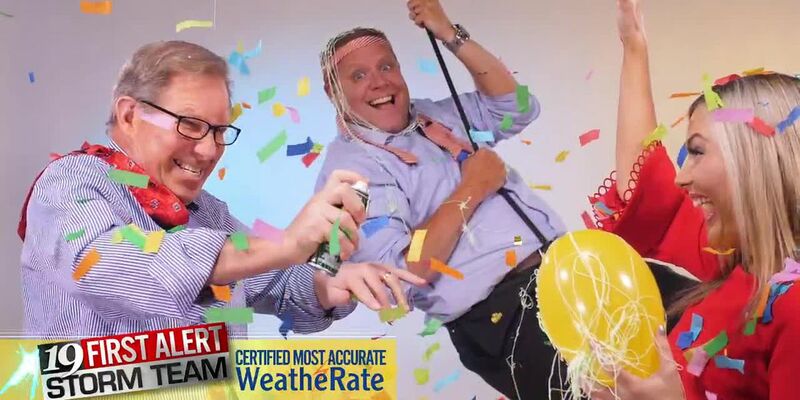 Our 19 First Alert Storm team was voted Cleveland’s most accurate forecast for the 14th year in a row. Don’t forget, our coverage isn’t over once the Vince Lombardi Trophy is presented to the champion. Tune into Cleveland 19 News at 10 p.m. on WUAB before joining Tucker & Tanaka at 11 p.m. on Cleveland 19 (WOIO).